A five-Judge bench of Supreme Court, comprising the Chief Justice of India J.S.Khehar, and Justices Pinaki Chandra Ghose, S.A. Bobde, A.M.Sapre, and U.U.Lalit, dismissed on February 7, the review petition filed by the Tamil Nadu Government and the convicts in the Rajiv Gandhi assassination case to review the December 2, 2015 judgment of the Constitution bench holding that state Governments do not have the power to remit sentences imposed in offences investigated by the CBI under the Cr.P.C. The 2015 judgment was delivered by the then Justice Fakkir Mohammed Ibrahim Kalifullah, who has since retired, on behalf of the majority Judges comprising himself, Chief Justice H.L.Dattu and Justice Pinaki Chandra Ghose. Justices Uday Umesh Lalit and A.M.Sapre had given the dissenting judgments. But all the five had agreed that the restriction on remission of sentences by the state Governments with regard to offences investigated by the Central agencies without the consent of the Centre is valid. The Majority Judges, however, held that the Courts can impose life sentences without remission, in lieu of death sentences, and also fixed term sentences beyond 14 years without remission by the state Governments. 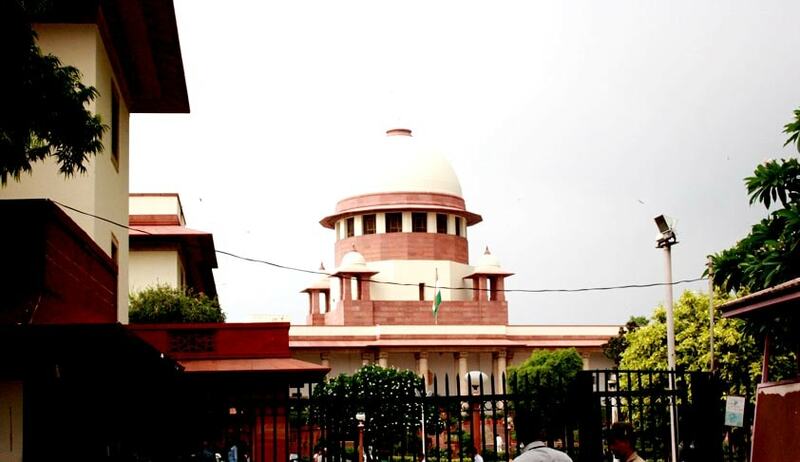 The State Government and the convicts in the Rajiv Gandhi assassination case, who escaped the death sentence on the ground of delay in disposal of their mercy petitions, sought review of this holding of the Supreme Court.